Joe Wells, of whom it has been said. : Crowd Fund Christmas. I recently saw a chap who had gone to GoFundMe and asked for £2000 which he was going to use for Christmas for his five children and amazingly enough by the end of the day he had reached his total. It seems he had to cut his working hours due to the arrival of his fifth child which left him short of funds to pay for the sort of lavish Christmas he wanted provide, now call me a sceptical old bugger if you like but I'm rather wondering if perhaps he might have been able to produce a lavish Christmas had he not been burdened with the expense of quite so many children. Bravo to the man though, for if you don't ask you don't get, as they say, which leads me nicely on to the real topic of this post, I rather fancy following this fellows example and asking on GoFundMe for a Christmas present for myself. I have tried not to be greedy and have chosen a 1926 Bentley 3/4.5 which has been fully restored to Le Mans race specification and is currently for sale at Vintage and Prestige in Grays, Essex at the asking price of £540,000. 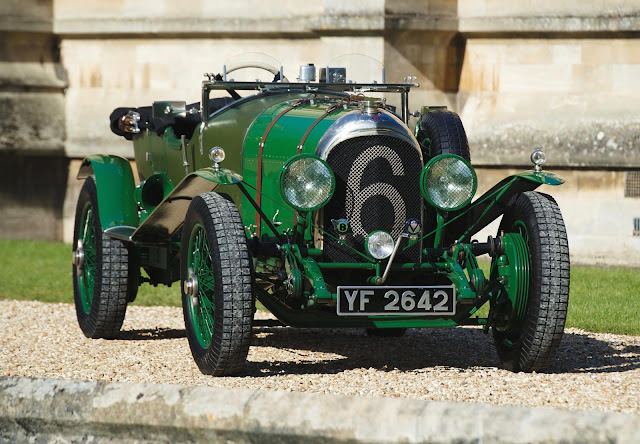 I realise there may be some of you who may think that I am being a tad greedy in asking for £540,000 but as I said I haven't chosen an expensive Bentley, I could have looked for one with genuine racing history, once raced by Woolf Barnato or Tim Birkin which would have been several million pounds. Well, that's it for today, I'm off to look at the GoFundMe website and I leave you with the wish that you all have a very happy Christmas and let's hope we all receive the presents we wish for.